Looking for getaway options with your fam but have pets to take care of too? 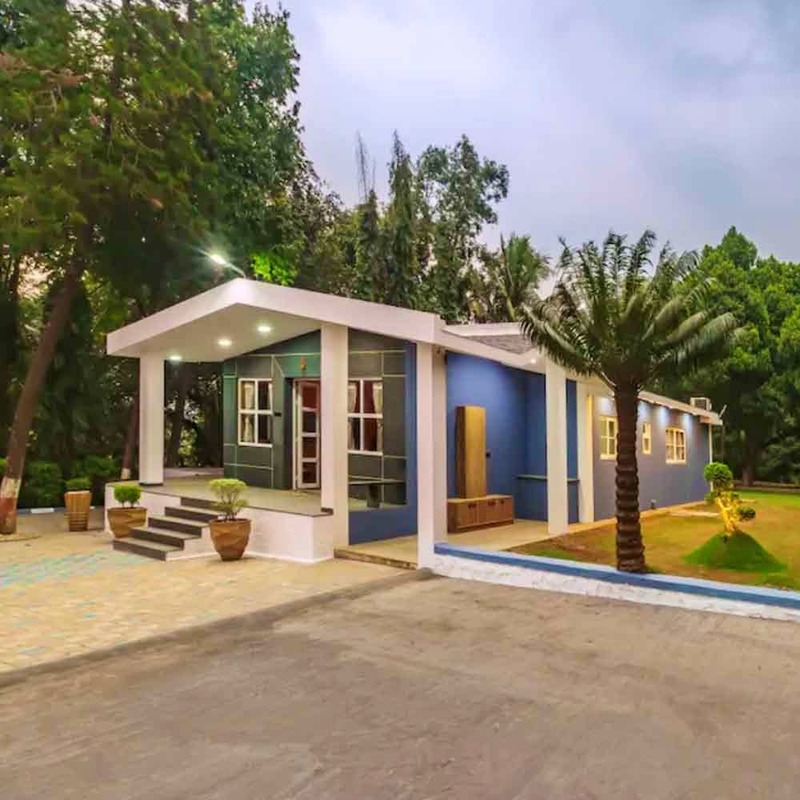 Sit back and relax because we found the perfect space for you at Pine Woods, a beautiful villa located in Khalapur, not too far away from Mumbai. Engulfed in greens on all sides, Pine Woods is a picturesque villa located over a 5 acre estate. The interiors of the 3 bedroom home are done up quite tastefully giving it a woody finish and will teleport you to the cozy Swiss wooden chalets (those you have been dreaming about!). The contemporary exterior blends in so beautifully with the rustic interior, it's a match made in heaven. Spend your weekend splashing around or lazing in the huge pool that is situated at the back of the home, or take a chill pill on the swings in the gazebo that overlooks the beautiful mountain vista. Simple and delicious home-cooked meals will be provided on prior notice at a very nominal charge of INR 1,000 per day for vegetarians and INR 1,200 per day for non-vegetarians. If you're looking to spend some me-time away from everyone else, just hit the pool with your favourite book and a glass of red wine to go with it (dreamy vacay indeed). The bedrooms boast of all modern amenities to ensure you have a comfortable and relaxing stay at the villa. The villa is pet-friendly, so keep aside your worries, get your four-legged buddy along with you and have a wholesome getaway at Pine Woods!